Hi friends , It’s time for summer sun and fun! In summer and its become a task for me to find right summer camp. In fact even before holidays I started collecting pamphlets and kept an eye on hoardings so I can select the right one for my kid. I do not want my kid to get bore in their happy holidays and also feel to spare them from screens of phone, TV’s etc. I feel summer camp is best thing where kids are engaging in activities, explore more, learn more , make new friends, But It sound fun for kids but not for parents as it become a exercise to select the right summer camp, staying safe, and preventing summer brain drain. Looking for some fun summer day activities for your kids? Well take a break! Recently I visited Pacific mall , this line strike in my mind “Summertime fun comes in all shapes and sizes” I was amuse by the new concept of Airbus there. 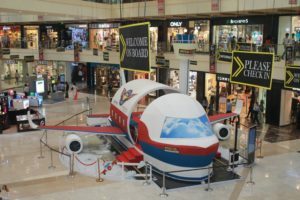 A huge Airbus with 13 feet height & 42 feet width has landed at the Pacific Mall. 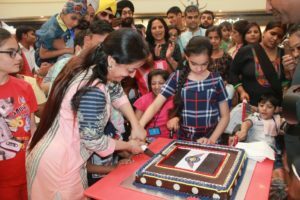 Pacific Mall Kids Summer Camp promises to be even more fun filled and exciting. Airbus is load with full of fun and creative activities . There is no space for boredom here. 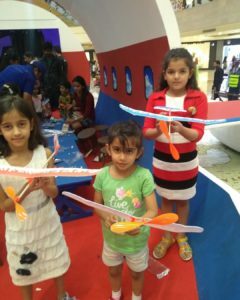 I love the concept and children always mesmerize with Aeroplane which takes them off to a new world of fun. Pacific Airbus activities includes artistic fun workshops on arts and crafts, painting, drawing, and fashion design lessons; Aero Modelling, Kids Fashion show, dancing; explorers workshops which offer Airplane Craft with Paper Art, Dress the Mannequin, Tent Pitching; and sports workshops on basketball, Golf, Plank Challenge and golf. Even my kids enjoy Aero modelling . The staff was so friendly and helping . They have taught each step very easily and repeatedly. My kids even at home roam around whole day with that aeroplane. This is new concept for them . Kids always love activities which are new and interesting . Summer camp of Pacific mall does all that. The popular Summer Workshops conducted annually by Pacific Mall are completely free and parents can register their children to participate in any of the activities listed in the summer program. The workshop is attended by children from all over Delhi & NCR, and starts this season from May 18th, 2018 and will continue till June 17th, 2018. 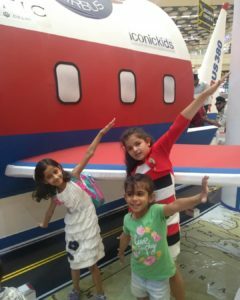 So guys what are you waiting for just hop on and let kids have all the fun and you have shopping destination for yourself. With this workshop ,there is summer offer going on that you will not like to miss it. Customers who shop for 5000 will get a chance to win Disney Land tour and one lucky kid also win a pair of Crocs on a daily basis. One of top premium shopping, entertainment and leisure destinations in Delhi and NCR Region, Pacific Mall is a part of the Pacific India Group, one of the reputed realty and infrastructure developer. Located in Tagore Garden the Mall is very well located and connected by public and private transport. Pacific Mall not only boasts of more than 140 national and international premium Brands in the country today but also is known for its ambiance, location, connectivity and the experience it provides, catering to the conscious, updated and discerning customer of today. My only shopping destination and entertainment destination is here in Pacific Mall. 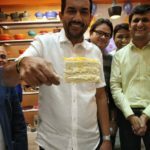 Next Post My real #WonderChef ..
It`s really hard to write such unique content, But i think you really nailed it here. Nice job. Oh great thing for kids.. yes all you need as a mother is your kids to be involved somewhere .. 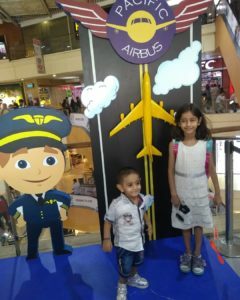 Even though we have resided in Gurgaon for 5 years , have not visited this mall , my kids love aero modeling so adding this to my to do list. Amazing and beautiful post. Pacific mall is great place for fun and recreation. Great thoughts. Seems to be a very interesting place. Great captures. They had so much fun. Their happy faces show that. Great option for kids to have fun during vacations. Lovely captures.